William John "Bill" Whitmore, Sr.
William John Whitmore, Sr., 90, formerly of Navarre, passed away peacefully with his family at his side, early Sunday morning, March 17, 2019. 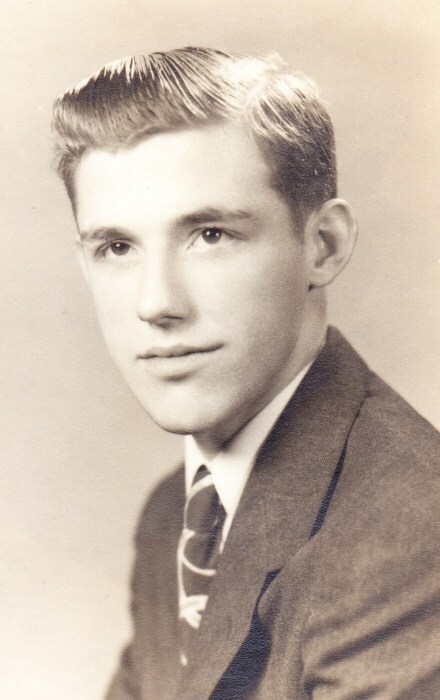 Born in Navarre, May 8, 1928, a son to the late Lloyd W. and Gladys D. (Salberg) Whitmore, Bill graduated from the former Navarre High School with the Class of 1946. A proud veteran of the US Army, he served honorably during the Korean Conflict. A life member of St. Paul United Church of Christ in Navarre, Bill retired after 37 years of faithful service to the Ohio Edison Company. He further served his community on the Bethlehem Township and Navarre Village Fire Departments for more than 55 years. A devoted husband, dad, grandpa and great-grandpa, Bill cherished his late wife, Doris, and their family and treasured the time they spent together. A loyal friend and a tireless worker, he could still occasionally find some time to call his own. Time he filled with – among other things, adding to his collection of eclectic antiques. Preceded in death by his parents; his wife, Doris Mae (Longworth) Whitmore – with whom he would have celebrated 70 years of marriage this month; and a sister, Gloria Whitmore; Bill is survived by his son, William J. “Bill” and daughter-in-law, Renee Whitmore, Jr., of Wooster; grandchildren, Branon (Michael) Workman, of Wooster and William John “B.J.” (Brittany) Whitmore III, of Marshallville; great-grandchildren, Marlie and Mason Workman and William John “Liam” Whitmore IV; also his sisters, Wanda, of Lexington, Kentucky and Carolyn, of Dover, Ohio and several beloved nieces and nephews. A memorial service celebrating the life of William John Whitmore, Sr., will be conducted at 4:00 P.M. Saturday, March 23, 2019, at St. Paul United Church of Christ in Navarre. Pastor Brent Gundlah will officiate and a private burial will follow. A Last Alarm Ceremony by the Stark County Fire Fighters Association will precede the memorial service at 4:00 P.M. in the church. The family will receive condolences one hour prior to the service, from 3-4:00 P.M. in the church. The family has also suggested memorial contributions to advance the missions and ministries of LifeCare Hospice (of Wayne County) or St. Paul UCC of Navarre. Arrangements have been entrusted to Atkinson Feucht Hare Funeral Home in Navarre.